Can “green” development and cultural conservation resurrect Salt Cay? Just as the Turks & Caicos’ national flower Island Heather, national plant the Caicos Pine, and the endangered Turks & Caicos Rock Iguana are found nowhere else in the world, the same can be said about Salt Cay. The country’s smallest inhabited island can be compared to unpolished amber — rich in stunning natural beauty, fascinating history and cultural depth, but needing expert attention and care to stop its history and culture from near extinction. Salt Cay’s story is no secret. It’s been well documented in this magazine over the years, primarily by part-time Salt Cay resident Michele Belanger-McNair via her superb photographs and features about the island’s salty past (and saltier residents!) and in history-focused articles in the Astrolabe. 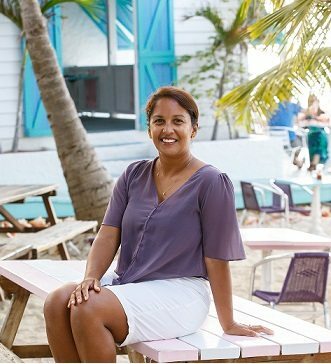 Local development company Salt Cay Devco recently produced an intriguing two-part documentary, narrated by 20-year Salt Cay resident Candy Herwin, that traces the island’s history, culture and current situation — a must-view for devotees. To bring the uninitiated up to speed: Salt Cay is a tiny island (2.5 square miles) located southwest of Grand Turk. Although fairly flat and unassuming in topography, it is ringed by exquisite turquoise seas, pristine white sand beaches and rocky limestone headlands. The interior is laced with freshwater ponds and saltwater creeks with flourishing mangrove banks. 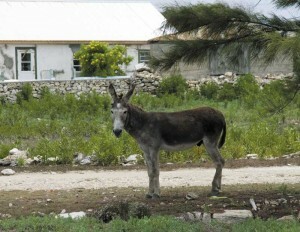 Salt Cay is home to many examples of the Turks & Caicos Islands natural flora and fauna, ranging from patches of rare island heather surrounding the salinas to soaring seabirds scanning the coastline. Humpback whales regularly pass through the Turks Island Passage during their seasonal migration, while the nearby undersea walls and coral reefs offer scuba divers an unrivaled experience. Fishing along the shore is superb and rarely fails to supply a meal, supplemented by whelks and clams harvested from rocks and ponds. Development on Salt Cay actually began in the late 1600s, when Bermudian saltrakers capitalized on the naturally occurring inland salinas. The early entrepreneurs walled these “salt ponds,” added windmills to pump the sea water through a series of evaporation pools, and imported slaves and donkeys to do the hard, hot work of raking, bagging and transporting the resulting salt crystals. Small sailboats ferried sacks of salt to larger boats waiting offshore and for nearly 300 years, Salt Cay was an important provider of this “white gold” to the world. The historic artifacts that remain today include salt barons’ estates, salt rakers’ homes, salinas, ancestors of the working donkeys and a rapidly aging population of elderly natives that remember the toil, tribulations and joys of a nearly forgotten era. 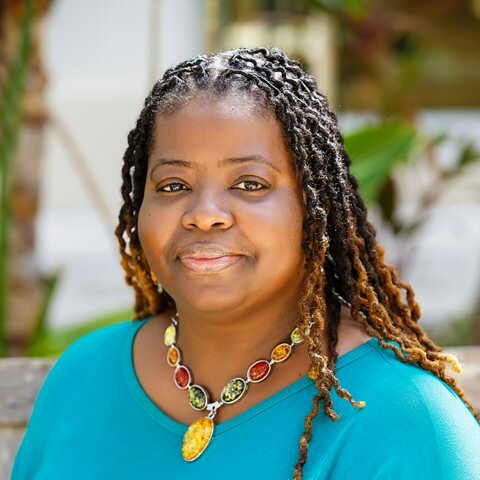 For although life was hard for the ancestors of folks with such surnames as Smith, Talbot and Simmons, the island birthed a colorful cultural tapestry, a weave of food, festivities and faith, rich in stories, song and dance. With the demise of the salt industry in the 1960s, life changed on Salt Cay. Many of the younger folk moved off-island to find work. A very limited tourism industry sprouted around a quaint resort, several guesthouses, dive operations and local restaurants, attracting visitors who didn’t mind straying off the beaten path. In the late 1990s, a small number of solitude-seeking expatriates built vacation homes on the island; by 2000 several of the historic homes had been renovated. Yet expanding beyond this was difficult, with the island plagued by erratic air service, little government support for infrastructure and the slow demise of its senior residents and historic remains. The ravages of Hurricanes Hannah and Ike in 2008 intensified Salt Cay’s problems. Besides destroying electricity and telephone service, it caused extensive damage to most of the existing homes, public buildings and historic structures. The tiny airstrip was badly damaged, along with the island’s two docks, and getting supplies (and people) to and fro became even more difficult. However, with the combined support of individuals, organizations and companies, the community pulled together and restored some normalcy to the island within a few weeks. Mario Hoffman is a successful Slovakian banker who first visited the Turks & Caicos Islands in 1997, soon afterwards purchasing a home in Providenciales and land on Salt Cay’s spectacular North Beach on which to build his dream residence. 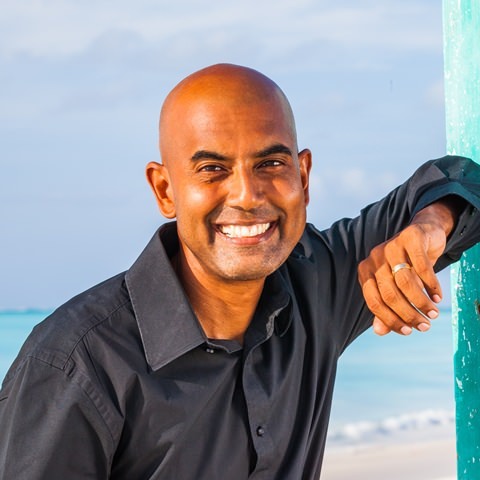 Enamoured from the start with the country’s charm and stunning raw beauty, he also sensed the possibilities for “polishing” the hidden jewel that was Salt Cay. In 2005, he started the development company Salt Cay Devco Ltd. (SCD) and purchased 40 acres of land in Salt Cay to build a small boutique hotel and villa residences, with the vision of keeping it a low density, environmentally and culturally sensitive project. 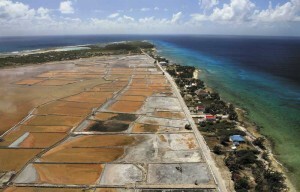 His idea expanded to include a golf course, and he leased an additional 220 acres of land in 2007, following extensive discussions with the TCI Government. To further protect and enhance his mission of creating a sustainably developed, “green island,” government approved Devco’s control of approximately 1,200 acres of land on Salt Cay, with 95% of that total slated to remain unbuilt upon. From the early days, and under the guidance of Hoffman and SCD’s Chief Executive Officer Stefan Kral, an extensive and expensive series of environmental, social and economic impact studies were undertaken, complemented by discussions with Salt Cay civic leaders and the remaining fragments of the community. The goal was to carefully hone a project that would “fit” this special nook of the world, with long-term sustainability the guiding principle. 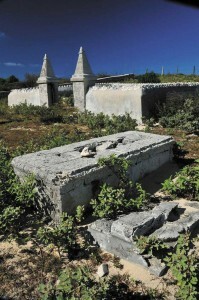 The development vision had always included the idea of working with local partners (including the TCI National Trust, Department of Environment & Coastal Resources, T&C National Museum) to renovate, restore and re-energize the historic areas of the island — the North and South Districts, Town Salina, Grey Salina, Taylor Hill, Whale Island and public cemetery — including specific buildings such as the White House, Government House, churches, salt sheds, Bermuda kitchens and Taylor Hill ruin. Also identified as needing protection were key ecosystems such as the dunes, mangroves, coral reef, freshwater ponds and tropical dry forest. It was similarly determined that the rich cultural heritage of Salt Cay’s people be documented and preserved before it disappeared. From the beginning, the project’s ambitious master plan offered the lowest density of any resort in the Caribbean, with a scale and scope designed to enhance and not overwhelm the existing community. Of the new “developed” area, less than 2% would be buildings (none over two stories, and 90% only one-story) and 3% infrastructure. To improve the existing infrastructure, SCD earmarked $15 million to upgrade the airport and build a government dock, which will make Salt Cay more accessible for all. Also planned are enhancement of public services such as the school, a new clinic, and customs and immigration operations. Banks, shops, restaurants, an open-air auditorium and other services to follow will allow Salt Cay residents to partake in a higher quality of life. Early efforts in 2007 included groundbreaking for the new dock and jetty wall, as well as ongoing impact studies, community discussions and extensive planning sessions, designed to take into account research results and residents’ concerns. After the 2008 hurricanes, SCD donated nearly $400,000 towards emergency relief supplies, along with labor and materials to rebuild the roofs of over 30 residences. SCD also matched funds donated by the Hurricane Relief Trust Fund which helped repair many homes’ interiors. Around the same time, politics reared its head. A Commission of Inquiry into possible government corruption wreaked havoc on SCD’s plans by calling into question the former Premier Michael Misick and other top government ministers’ roles in the project. While Mario Hoffman continues to deny any deliberate wrongdoing, the project languished in the climate of uncertainty during 2009. Early in 2010, Mario Hoffman and Salt Cay Devco announced plans to move forward with the project. Governor Gordon Wetherell, now leading the country during a two-year constitutional suspension of ministerial government, stated publicly via the Attorney General’s chambers that TCI’s Planning Department should treat the project “in the normal and usual manner” when it came to approving permits and plans. Concurrently, SCD proudly reported that the Six Senses Resort and Spa Management and Development Company has agreed to establish and operate Six Senses Salt Cay as the first Six Senses Resort and Spa in the Caribbean. Plans are to introduce the Six Senses SLOW LIFE philosophy (Sustainable – Local – Organic – Wholesome – Learning – Inspiring – Fun – Experiences). The Salt Cay property will also be part of Six Senses’ “20/20 Vision,” which is to make each resort in its portfolio not just zero carbon emissons by 2020, but to implement programs that will result in net CO2 absorption. Environmental protection for the Salt Cay project encompasses several key elements, including the use of appropriate landscaping, re-establishing native vegetation and improving water quality to allow for increased flora and fauna populations. In actuality, this means minimal clearance of existing vegetation and tasteful landscaping using indigenous plants (with the added bonus of naturally reducing the need for pesticides and fertilizers). ”Green and sustainable” architecture is another project principle and buildings will be required to comply with LEED or BREEAM requirements, the global benchmarks. Designs for the proposed villas, hotel buildings and marina village will be “unique, timeless and appropriate to place,” creating an elegant feel without high maintenance applications. Buildings will nestle into their environment, and be carefully oriented to maximize natural breeze and shading areas, reducing energy costs. When possible, indigenous materials will be used inside and out, with the tandem goal of providing local employment opportunities and minimizing energy use in shipping. Whenever possible, materials will come from environmentally sensitive sources, reducing the use of non-renewable resources. With fresh water an extremely limited resource, rainwater harvesting and the re-use of storm and “grey water” for irrigation are givens. The reverse-osmosis plant will be managed according to best practice principles, enhanced by wise water use. Prudent waste management is also a key component of the plan, with the overall goal of minimizing waste generation during construction and operation by choosing recyclable materials with minimal packaging, recycling of green waste into compost and proper incineration of unseparable waste. Audubon International is another SCD partner dedicated to sustainable development. They are providing assistance in planning an environmentally sensitive golf course. Key components of this course include using natural topography to create a link-style design that minimizes the need for land clearing; use of drought resistant grass to reduce the need for irrigation and using organic pesticides and other chemicals whenever possible to help keep the ground water clean and safe. As a result of input from Salt Cay residents, environmental studies and land surveys, the original idea for a marina has been re-worked extensively. The current proposal will create a central harbor for use by incoming boaters, sailors and fishermen, with a pedestrian-friendly village in the historic heart of Balfour Town. The location reduces the need for excessive dredging, with the use of silt nets to capture debris so as not to harm the sensitive coral reef. Victoria Street will be paved and run through the historic district of Salt Cay, which will feature renovated buildings and properly maintained salinas and working windmills. Visitors will use this to enter the marina community, to include a small restaurant, bar, cafe, shops and more, all open to the public. Visitors drawn by the Six Senses SLOW LIFE philosophy will find much attractive about Salt Cay beyond the sustainable development theme and natural “feel” to the property. A key element of the program is immersion into local culture. On Salt Cay, this could include demonstrations of fish, conch, and whelk harvesting and cooking, tours of a working salina/salt home (with the salt used in the resort’s holistic spa treatments), gatherings to learn about Salt Cay history, hear residents talk “old tales” and perform traditional song and dance . . . the list is long. This philosophy, if combined with careful employment practices and the minimal use of imported labor, can provide a desperately needed economic boost to Salt Cay. The development can only create new employment, training, education and business opportunities for Belongers, with an estimate of 200 jobs during construction and 1,000 new jobs by the time the project is complete. By integrating the community into the development, protecting the history, culture, tradition and atmosphere of Salt Cay, all can benefit, including vacationers, homeowners and residents. Feelings about Salt Cay are rarely lukewarm when it comes to development. Perk up an ear during a community gathering or round the domino table and you’ll hear the pros and cons loud and clear. Many of the current or former residents, along with sons and daughters who grew up in the close-knit community, feel abandoned by the rest of the country. They see Providenciales’ glamorous beachfront resort condominiums, Grand Turk’s bustling cruise ship port and North Caicos’ full-size airport runway and wonder when opportunity will visit Salt Cay. On the other hand, expatriates and residents who appreciate Salt Cay’s quiet capture of a forgotten era are afraid that development will overpower and destroy a place like no other in the world. I must admit a natural bent towards the latter opinion. Over the last two decades, I’ve seen Providenciales grow from an Edenesque Caribbean outpost to a busy tourism mecca and I can’t say that all the changes have been for the good. However, after carefully reviewing the philosophy and plans of Salt Cay Devco, I’m inclined to suggest that this development might be Salt Cay’s best hope. SCD’s apparent interest and care in carefully managing their ambitions to protect Salt Cay’s environment, history and culture appear to be well thought out and timely, underscored by the partnerships with other innovative and forward-thinking companies. Many of Salt Cay’s historic structures are on their last legs, the resident population continues to struggle and alternative plans looming on the horizon could be of greater impact. If there’s one thing I’ve learned over the years in TCI, it’s that time will tell. The country has a way of self-adjusting that often seems Divinely led. Let’s see what the Master Planner has in store for Salt Cay. By Kathy Borsuk ~ Photos Courtesy Salt Cay Devco Ltd.